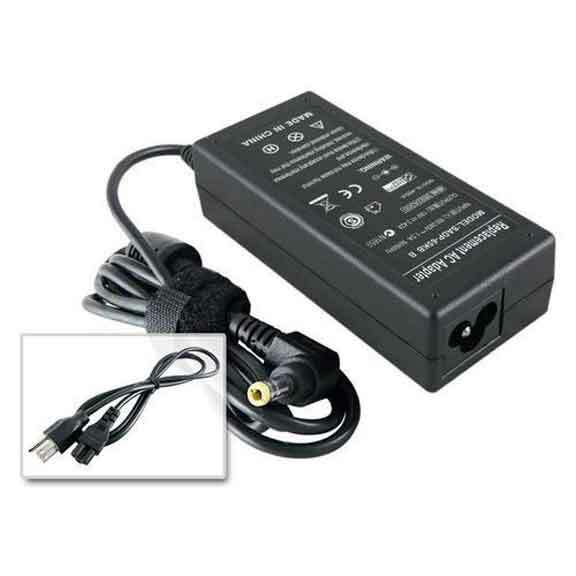 Replacement Acer 90Watt 19V 4.74A AC Adapter with 5.5x1.5mmB Plug; USA 3-Prong Power Cord; works with Acer Aspire 7520; Aspire 8930; Travelmate 8571 and more. New Replacement Acer Aspire One PA-1300-04 Mini 30Watt Netbook AC Adapter 19V 1.58A with 5.5x1.5mmB plug; USA 2-prong power cord. New Replacement Acer P/N AP.04001.002 AK.040AP.024 Mini 40Watt AC Adapter 19V 2.1A with 5.5*1.5mmB plug; 2-Prong Cord included. Hi-Quality Compatible Battery Charger works for Acer Aspire One 532h; Acer Aspire One D260 Series Netbook PC. New Replacement Acer P/N AP.04001.002 & AK.040AP.024 Mini 40Watt AC Adapter 19V 2.1A with 5.5*1.5mmB plug; 2-Prong Cord included. Hi-Quality Compatible Battery Charger works for Acer Aspire One 532h; Acer Aspire One D260 Series Netbook PC. You can choose from a wide range of Acer AC adapters depending on the ones compatible to your requirements. All the Acer AC adapters are of good quality and have a long average life. We have replacements for Acer Aspire 65 watt AC adapter, Acer Aspire SADP-65KB, Acer 90 watt AC adapter kit available in different diameters, Acer TravelMate SADP-65KB, Acer P/N AK 0.65 AP.015, Acer PA-1300-04, Acer P/N AP.09000.001, Acer P/N AP.04001.002, Acer 120 Watt AC Adapter Kit, and other Acer laptops. We source the products directly from ISO 9001-2000 registered manufacturers which helps us to keep the prices and quality on check.